The Utah Motorsports Campus was the site for the Lucas Oil Off Road Racing series Rd 5 and 6. The weekend qualifying went smooth for McGrath’s Maxxis Tires, ICON Vehicle Dynamics, Safecraft safety equipment # 2 taking the top spot both days and earning 2 valuable points. With a very disappointing inversion of 6, (both days) Jeremy would start on the outside of row 3. “Saturday’s race was exciting and I felt like we could take the win from row 3. I got up to third place then had contact with the # 36. We both spun in the rhythm section and I ended up 4th. Sunday was the same starting position in sixth. My Maxxis tires were hooking up and I was pushing to the front of the pack, but only managed to finished in the 4th spot today. It was not our best weekend of racing considering we qualified 1st both days. Those inversions of 6 are killing us! Track position is everything in short course racing. We will keep working hard for this Championship, I know we have what it takes and my team is dedicated to win.” Jeremy said after he got out of his truck on Sunday. The fans in Utah were great and stayed late into the afternoon to get autographs and take selfies with Brock and Jeremy! Yamaha Blu Cru, ICON Vehicle Dynamics, AIRAID, Maxxis Tires backed # 921 was on rails all weekend in Utah! Brock Heger had an amazing weekend leading every lap of competition in a stacked and deep field of drivers. “I love racing this Yamaha! It’s such a fun class because the UTV’s are all so close. You can pretty much guarantee close racing and battles every lap. I was happy to get out front and not make any mistakes this weekend. Jason Weller was on my bumper all weekend, it was good to see him grab a second-place finish. Big thanks to my Dad and Brian, the Weller team, ICON guys, Yamaha Cru and the JM2 team for all the support this weekend. 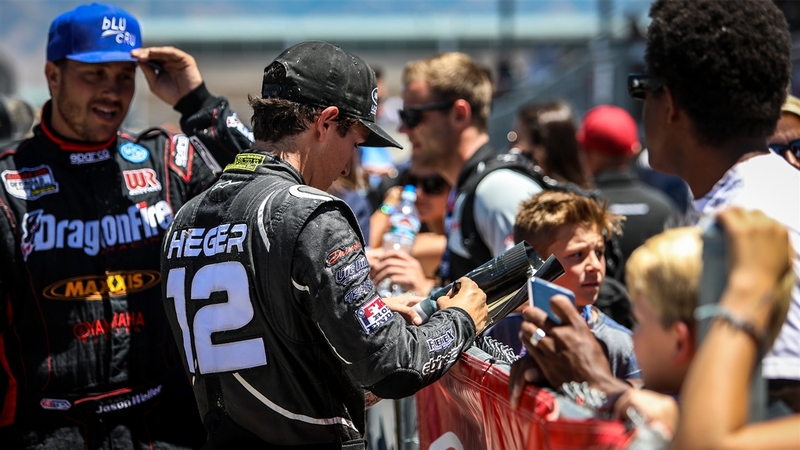 We had a lot of work and late nights to keep the cars on the track.” Heger said after Sunday’s race. 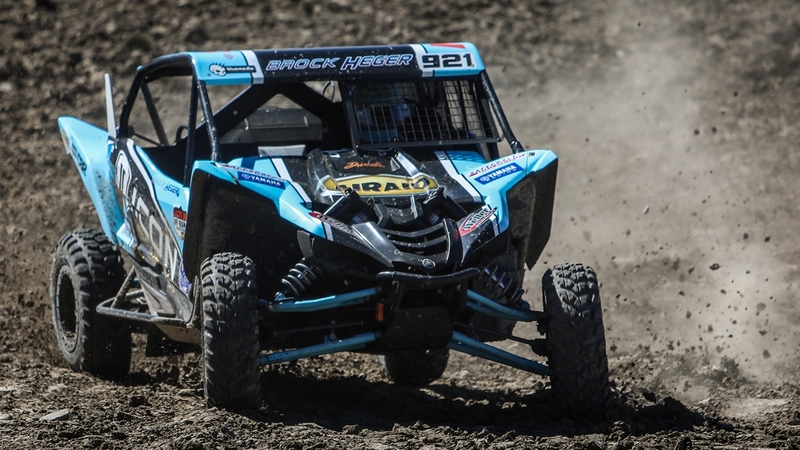 With back to back wins this weekend Brock has extended his points lead in the class.